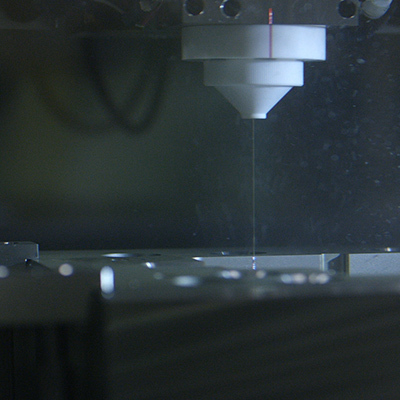 Where wire EDM is concerned, accuracy has traditionally come at the cost of speed. That’s why FANUC has developed a next generation ROBOCUT wire-cutting machine. The α-CiB series comprises three versatile all-rounders, including the first model with an 800 mm table. With incredibly long mean times between failures, low maintenance, longevity and excellent uptimes, these future-proof spark erosion machines are designed to save time and drive down unit costs while ensuring superlative accuracy and cutting efficiency. 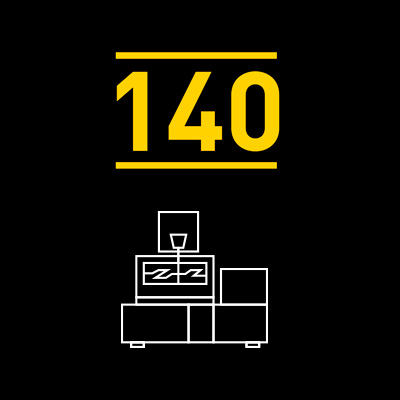 Supporting up to 7 simultaneously controlled axes and controlling every aspect of the machine, the centrepiece of every FANUC ROBOCUT is the most reliable CNC in the world. Advanced frame design ensures consistent high-accuracy electrical discharge machining under varying environmental temperature conditions. ROBOCUT’s automatic front door and a partial drain work pan reduce turnaround times by allowing parts removal without completely draining the tank. 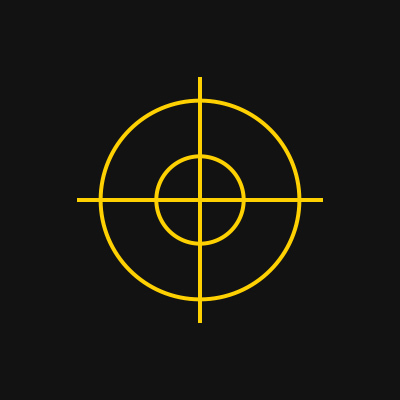 Potential operator errors are flagged up by the Setup Guidance function, reducing downtime and ensuring fast setup times. 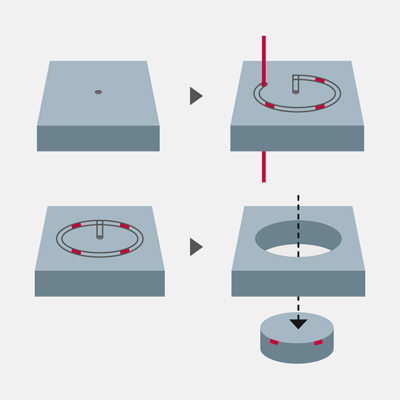 ROBOCUT’s Smart Positioning function gets you started faster by cutting the time it takes the wire EDM machine to measure geometrical references on the workpiece. 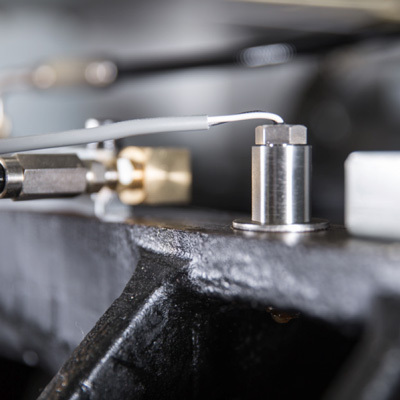 Ensuring an accurate water lever in the work pan, less maintenance and more reliability, ROBOCUT measures the water pressure at the bottom of the tank and regulates it according to the Z-axis position. 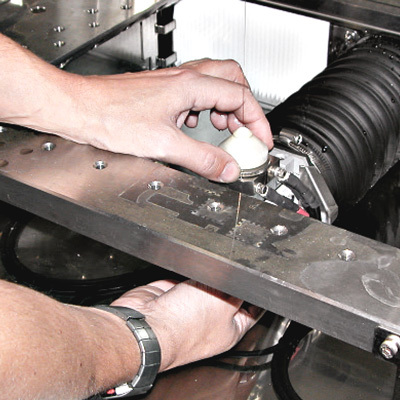 Maintaining FANUC ROBOCUT only requires a few simple steps, with weekly cleaning taking less than an hour. ROBOCUT α-CiB series’ Core Stitch function allows you to better plan cutting jobs and extend unmanned machining hours. 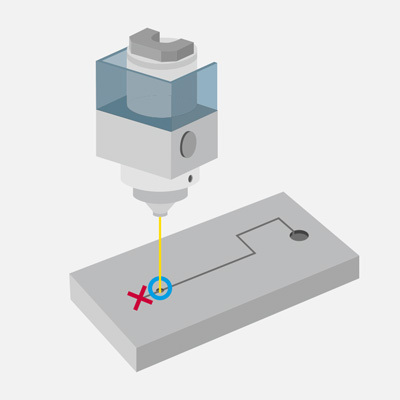 Stitch points are set directly on the wire-cutting machine’s CNC without any pre-programming. Used in combination with the re-threading in the wire path function, this is the ideal solution for long lasting unmanned machining and multi-workpiece cutting processes. When the job is done you simply knock out the cores manually without any risk to the machine. To radically reduce machining times, ROBOCUT wire-cutting machine re-threads automatically in the wire path on workpieces up to 150 mm thick. 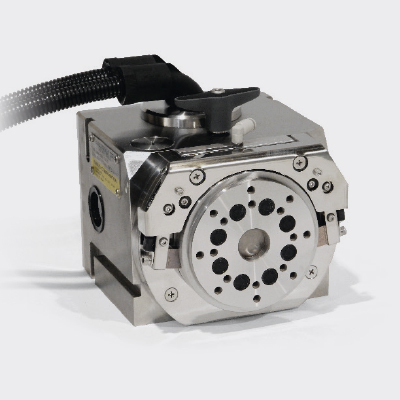 FANUC’s unique twin servo wire tension control maintains wire tension to +/- 15 g of accuracy for consistent machining, fewer wire breaks and reduced parts wear. With 60 hours of wire as standard, the 30 kg spool option and wire cutter more than double the period of continuous operation. 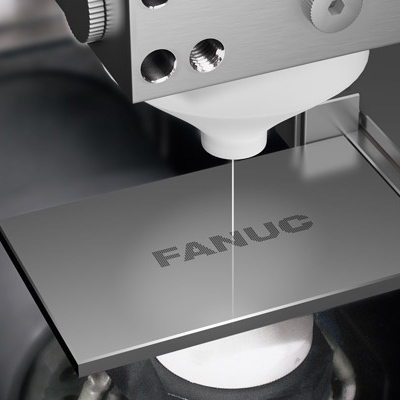 FANUC’s unique AWF2 Automatic Wire Feed threading technology provides fast, reliable automatic threading in just 10 seconds. To ensure reliable threading and re-threading, wires are cut electrically leaving a pointed end that is absolutely straight and burr-free, even on soft wire. 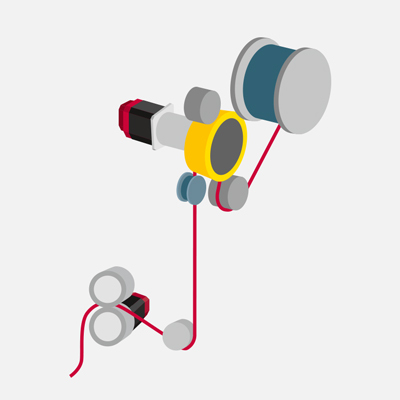 Aided by a jet of water, threading the wire is both simple and very fast. Allowing more precise control of electrical discharges, FANUC’s Flexible Pulse Control (FPC) reduces cycle times and increases accuracy. 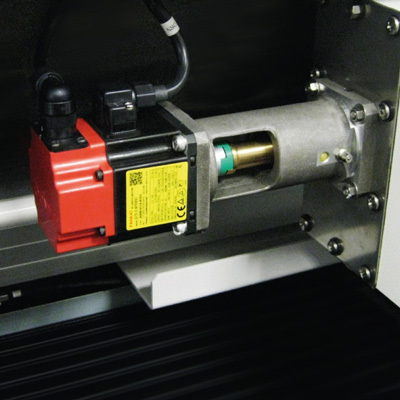 To ensure ROBOCUT machines to exacting standards despite temperature fluctuations, ROBOCUT is available with 3 sensors for standard installations or 7 sensors for fine displacement adjustment in temperature-controlled rooms. 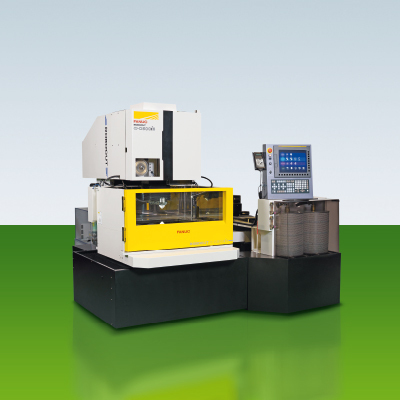 FANUC’s Setup Guidance function ensures ultra-fast setups and reduces downtime by flagging potential operator errors. 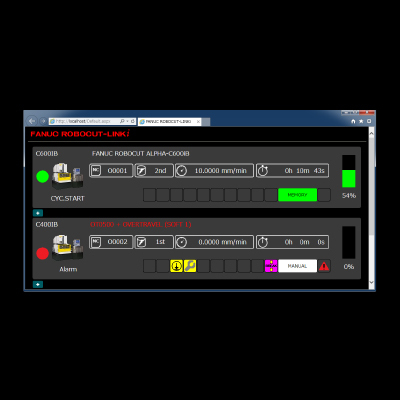 Monitor up to 32 ROBOCUT wire-cutting machines in real time from a remote PC or handheld. 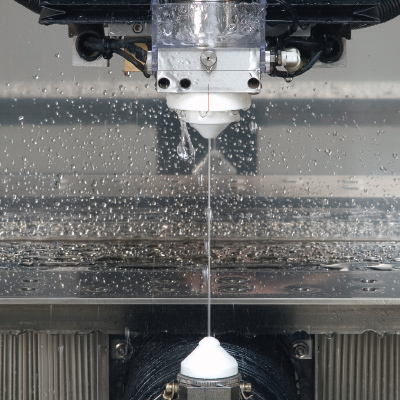 Minimises the risk of wire breakages at high machining speeds, even under difficult conditions such as those involving wide nozzle distances or changing cutting heights. Every component - including CNCs, motors, amplifiers, generators and pumps - in ROBOCUT has been designed to minimise energy consumption. Additional energy efficient features include power monitoring, sleep mode, LED lighting, inverter pumps, cooling and power regeneration. 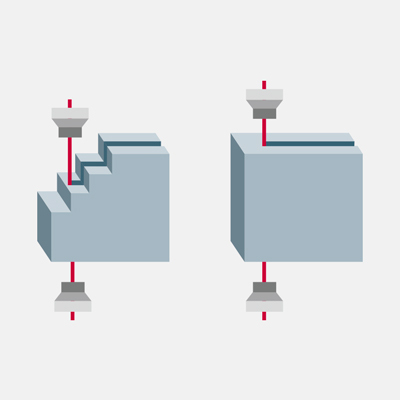 Depending on the model, ROBOCUT’s U and V axes can be traversed 90 mm beyond the table. 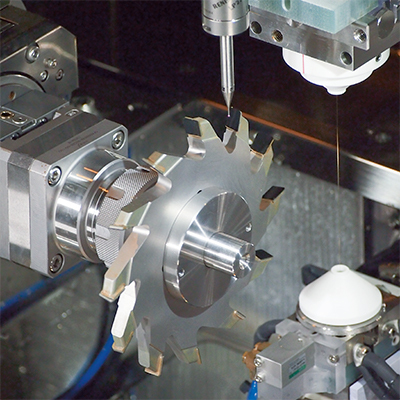 This enables smaller workpieces to be machined without the need for expensive clamping devices. Not requiring an additional external control, these axes are programmed straight from the ROBOCUT CNC. 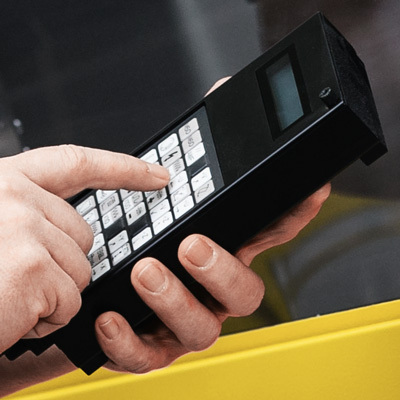 Cost effective and easy to use, they offer seamless communication, reliability and increased productivity. Our thin-wire technology option enables you to reliably thread wire down to a diameter of 0.05 mm. 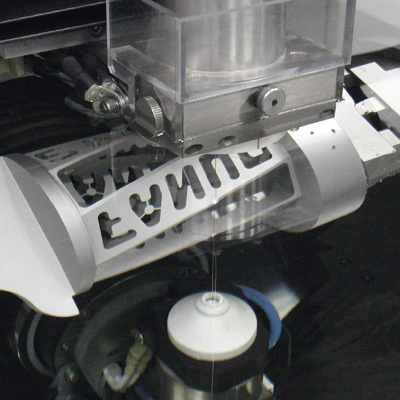 A PCD allrounder, ROBOCUT ensures the crystals are not damaged during cutting and provides high-speed precision machining for PCD tool sharpening. Capable of cutting at a variety of different angles, it is ideal for sharpening bonded PCD blanks.